The CanDo® Hi-Lo Mat Platform with Upholstered Top is a heavy duty, upholstered mat platform with an ultra-strong, uni-frame base. It features a 110-volt electric powered height adjustment with hands-free low voltage foot control. This heavy duty, all welded, lift mechanism has a durable gray powder-coated steel frame and is easy to clean. The topcoat finish is made of a heavyweight, knit-backed upholstery with 2-inch ultra-firm padding. The custom bumper strip helps protect top's edges from tears. It measures 84 by 48 inches and has a 600-pound weight capacity. Comes in multiple upholstery colors. Default is black upholstery. 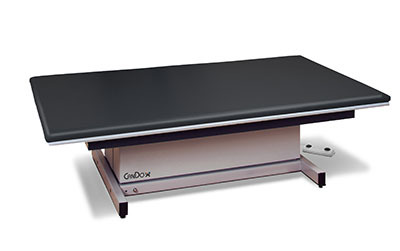 Dimensions: 84" x 22" x 48"
The CanDo® Hi-Lo Mat Platform with Upholstered Top is a heavy duty, upholstered mat platform with an ultra-strong, uni-frame base. It features a 110-volt electric powered height adjustment with hands-free low voltage foot control. This heavy duty, all welded, lift mechanism has a durable gray powder-coated steel frame and is easy to clean. The topcoat finish is made of a heavyweight, knit-backed upholstery with 2-inch ultra-firm padding. The custom bumper strip helps protect top's edges from tears. It measures 84 by 60 inches and has a 600-pound weight capacity. 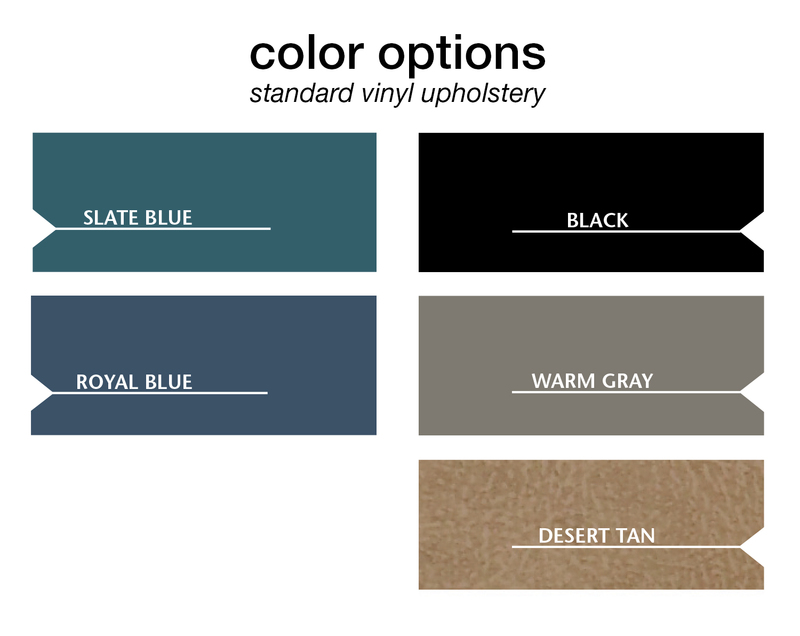 Comes in multiple upholstery colors. Default is black upholstery. Dimensions: 84" x 22" x 60"
The CanDo® Hi-Lo Mat Platform with Upholstered Top is a heavy duty, upholstered mat platform with an ultra-strong, uni-frame base. It features a 110-volt electric powered height adjustment with hands-free low voltage foot control. This heavy duty, all welded, lift mechanism has a durable gray powder-coated steel frame and is easy to clean. The topcoat finish is made of a heavyweight, knit-backed upholstery with 2-inch ultra-firm padding. The custom bumper strip helps protect top's edges from tears. It measures 96 by 72 inches and has a 600-pound weight capacity. Comes in multiple upholstery colors. Default is black upholstery. Dimensions: 96" x 22" x 72"